Janlynn's Embroidery Scissors are a great companion tool to any of our cross stitch projects. 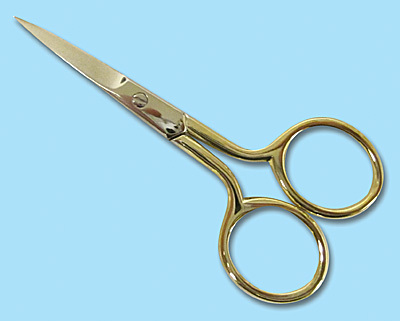 Everyone needs a great pair of scissors and ours will not disappoint. Premium quality with a comfortable grip, these scissors will make any type of cutting easy and accurate. Great for needlecrafts, papercrafting and miscellaneous crafting. Measures 3.75".